Two men are in critical condition after being shot this morning about a block from the Belmont Red Line station. No one is in custody. Officers on patrol heard the shots at 3 a.m. and saw people running from the scene. A 36-year-old convicted felon suffered a gunshot wound to his neck and a 23-year-old man who is on parole received gunshot wounds to his back, torso, shoulder, and arm, a police source said. The two victims are friends, the source said. A gunman shot the victims outside of a dry cleaner at 1024 West Belmont. One man collapsed on-scene while the other managed to run to the 3200 block of North Sheffield before dropping to the ground. 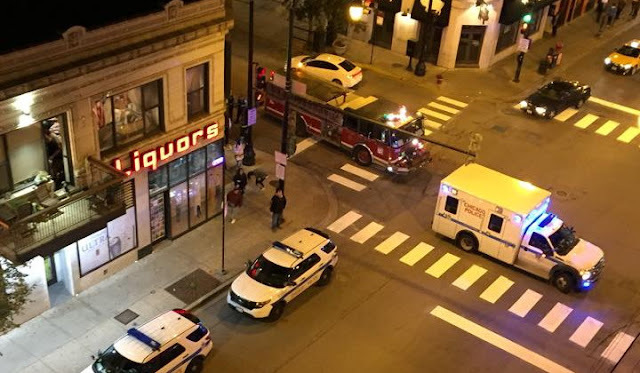 Law enforcement sources told CWB Chicago that the 36-year-old victim served a 5-year sentence for unlawful use of a weapon in 2011. He completed the parole portion of his sentence at midnight—three hours before being shot, the source said. He is a member of the Spanish Cobras street gang, a source said. The 23-year-old was paroled in September after serving about half of a four-year sentence for being a gang member in possession of a firearm. 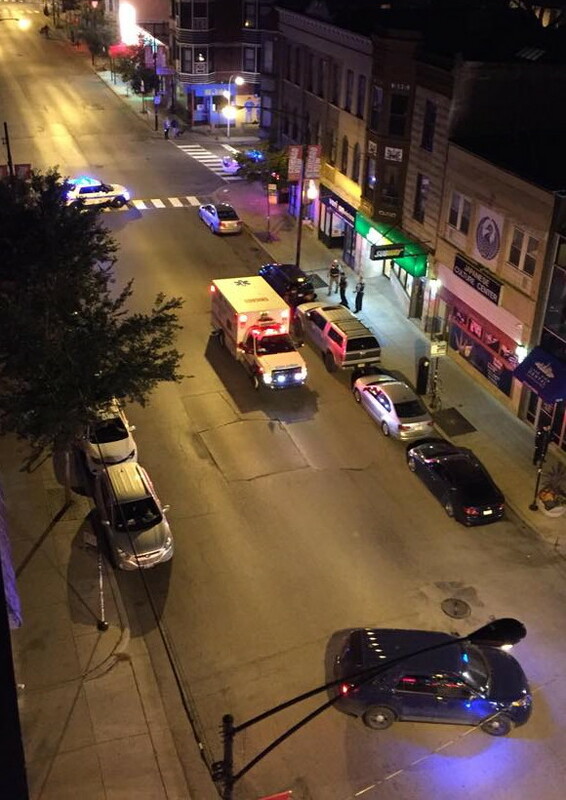 This morning’s victims are the 11th and 12th persons to be shot in Lakeview this year. A drive-by shooting in Uptown this morning left a 28-year-old man with a through-and-through gunshot wound to his leg, police said. Witnesses reported that shots from a black Pathfinder or Explorer struck the man in the 800 block of West Cuyler around 12:25 a.m. The victim is in fair condition at Advocate Illinois Masonic Medical Center. He is Uptown's 31st shooting victim of the year.